Finding Wonderland: The WritingYA Weblog (archive): Turning Pages: Adventure, Travel,Optimism: Say YES! Turning Pages: Adventure, Travel,Optimism: Say YES! If the train makes it over the last treacherous gorge, there is a good chance that you and Nancy and Joe will have to deal with werewolves and mad scientists, real ninjas and fake vampires, one roller-skating baby, a talking pig, creatures from another planet (possibly another dimension), killer poetry, clues from classic children's books, two easy riddles, several bad knock knock jokes, plenty of explosions, a monkey disguised as a pirate, two meatballs, a blue plastic Star Wars lunch box (missing its matching thermos), three ticking clocks, and not just one bad guy - but a whole army of villains, cads, scalawags, sneaks, rats, varmints, and swindlers. Also several desperadoes, a gang of evildoers, and one just plain bad egg. - from Episode 1 of The Exquisite Corpse, by Jon Scieszka. It's so much fun, and the more nutty creative the people with whom you have to play, the better it gets. Ambassador Scieszka really has invited some great people to play. The one-and-only M.T. Anderson. Kate DiCamillo. Shannon Hale. Nikki Grimes. The amazing Susan Cooper. DANIEL HANDLER. And there's MORE fun people, some of whom I don't recognize. But wouldn't you have been tickled to be invited? But, you HAVE. You can read it online, and turn each lovely page, or there's an RSS feed, and you don't have to miss a single episode. THIS is what it means to have fun with words, and to enjoy a story. What a great thing, to show kids you can HAVE FUN WITH IT. Hat tip to Leila for the 411. Sarla is sick to death of living with her always rushed, always running, super-glam reporter mother. Sure, it's a kick to eat take-out and have someone who has a steady stream of interesting boyfriends, but every once in awhile, it'd be nice if Sarla's mother could put her first, and her high-profile job second. But being embedded with the troops in Tarkestan won't wait, and with her mother's last minute change of plans Sarla's usual options are all gone. Everyone is already gone for summer vacation. Even her Auntie Piloo is off to see her guru in Bangalore, and no way is Sarla going to tag along for that madness. It looks like she's going to be shuttled off again -- but this time to her grandparent's place in Daroga, India. Obviously, a village in India is a far, far cry from London. There are the surface things -- the weird smells and the heat and the awkwardness she feels in her London threads while others wear the traditional salwar kameez. But the not-so-surface things are even worse -- the fact that her mother hasn't been back to see her parents in FIVE YEARS, because they had a massive blowout no one will tell her about. The strange way her grandparent's driver and cook dote on her, and the way their granddaughter, Bina, seems to disapprove of her. Sarla's no stranger to disapproval -- and with optimism -- sometimes misplaced, and enthusiasm -- sometimes unwelcome, she dives in to her summer break in India, hoping to find out something new about who she is, and where she comes from. What she finds out includes heartache and family secrets, and is bigger than she could have ever guessed. If you've never heard of Phoolan Devi, the so-called Bandit Queen of India, or really read a lot about the caste system, this book will be an eye-opener. 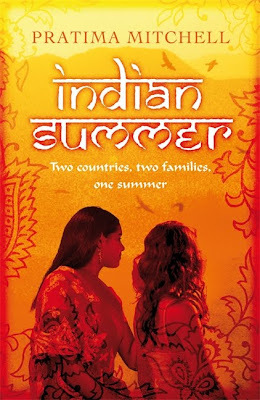 Told in two voices, from Sarla's London perspective, and from the perspective of Bina, whose humble caste is expected to narrow her life choices, INDIAN SUMMER is a captivating look at modern India, how its relationship with colonialism created it as it is now, and how its young people are leading it into the future. And other than all of that sociological stuff, it's a darned good story. But don't take my word for it. Check out Susan Whelan's review at Suite 101. Obviously I am not unbiased. When I got a chance to read OPERATION YES, by beloved fellow blogger Sara Lewis Holmes, the full expectation was that I would, of course, feel about it as I feel about Sara. I expected Big Time Good, a read-through-in-one-sitting kind of thing. Well, halfway through, I had to get up and walk. I had to sniffle. I had to write down a few quotes that resonated. When I was finished reading, I had to read it again. With themes of kindness and community reminiscent of the 1997 Newbery-winner, The View from Saturday, OPERATION YES is a transcendent novel that breaks down the potential of the human spirit into 6th grade vessels. Even without the compelling bonds of friendship, I'd say OPERATION YES is better than good. Thought-provoking. Wonder-producing. Solidly magical. If a military-themed novel seems like it'd be short on wonder to you, that's because you haven't yet met the floor-crawling and tattooed Miss Loupe, the denizens of Room 208 at the dilapidated Young Oaks Elementary, and the cast and characters in the town of Reform, North Carolina. Young Oaks is a school that's heard a lot of No's. Mrs. Heard is the principal who would really like a "Yes!" from the School Commission to fix all of the broken sidewalks and backed up plumbing. Mr. Nix, whose very name says "No!" is the first-grade teacher, who would like all students to say "Yes!" to coloring only in the lines. (It wouldn't do for them to fall into The Quagmire of Ignorance.) Many of the students at Young Oaks would like to say "Yes!" to not being bored, to understanding all the rules, and to staying in one place long enough for it to feel like home. "Yes!" doesn't always come as fast as we want it to. "Yes, Sir!" or "Yes, Ma'am" are two of the wisest words you'll ever utter to a commanding officer. However, if you're not a soldier, but a 6th grader living in Reform, that "yes" can come awfully hard. It's almost impossible to say yes when you feel like you've got no choices. But saying "Yes!" means making room in yourself for something special to happen. When Miss Loupe slips into her special black stealth slippers, she teaches the students in her run-down classroom how to say "Yes!" to life. They learn to fall correctly -- because sometimes you get hit. They learn to be disciplined enough to relax into the unexpected -- because the unexpected can either be just a crack in your window, or a new way to let in light. Learning to roll with the punches life throws isn't just about theater or art. It's a life skill. And OPERATION YES is a book about learning not only to say yes, but to move that yes around and pay it forward, to others who might need help in believing in it. The magic of this book is difficult to articulate -- I refuse to oversimplify it with a plot description, which just pulls it down to quantifiable nuts and bolts. It's like explaining flight - it's hard to get impressed until you lift off of the ground. OPERATION YES lifts off. And flies. But don't take my word for it. 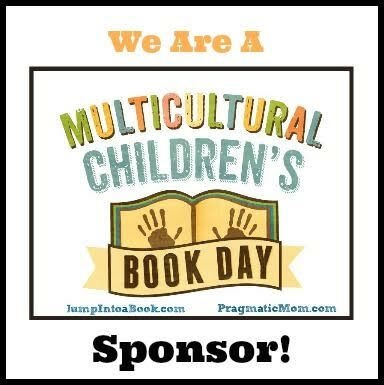 Check out Lesa's Book Salon. These books were all library borrowed, purchased, or, author gifts. You can find Indian Summer and both The View from Saturday, as well as Operation Yes from an independent bookstore near you! I can't wait to read Operation Yes, and Indian Summer sounds good, too. And the Exquisite Corpse project? I have a soft spot for those, either written or drawn. Brings back memories of my late cousin and I trying to entertain ourselves in the backseat of the car (with the written kind); but also, when Rob and I first met, in our etching class in college, the first project we had to do for the class was an exquisite corpse with other classmates, and Rob and I were in the same group along with a mutual friend. Mere weeks later, we started dating. Now I'm sniffling. Thank you for reading with such an open heart. And not to rub it in, but I just heard Jon read the opening chapter of The Exquisite Corpse project in person at the National Book Festival!!!! He was (of course) full of himself and hilarious very, very Jon. The kids in the audience were eating it up. LOC = the new cool. LOVE your review of OPERATION YES! Stellar way to describe it! What a wonderful blog, so glad to have found it! I really enjoyed OPERATION YES! One of the books I read this past month and had been meaning to read (obviously) for quite a while. Heartwarming in all the best ways. "Sitting at the Popular Kids' Table"
Some Things Are Just Creepy. And Now, A Word From Our... Um... Sponsors.